Catherine: My name is Catherine Tactaquin. I am the director for the National Network for Immigrant and Refugee Rights and a member of the Women and Migration Network. Cameron: One of the assumptions you hear a lot in the press is that most of the people on the move today are unmarried men. Can we start with you giving us a corrective on the realities of women’s migration around the world today? Catherine: Women are certainly migrating in large numbers around the world today and half of all migrants are women in fact. They do, however, face a different reality than men. A lot of migration policies are based on the migration of men, and not on the migration of women, children, and families. So these policies are not gender neutral. Women do have a different experience, both in the countries from which they came and during transit, which is often much more complicated. They experience a different reality when crossing borders, especially for those who have no immigration documents and who are therefore in more vulnerable situations. Cameron: What causes these experiences to be so different? Catherine: For one, we live in a world that is not often friendly to migration. Especially not for those who are forced migrants or displaced due to climate change, extreme poverty, or unemployment. Climate change, for example, often affects rural areas and what might be considered women's jobs. 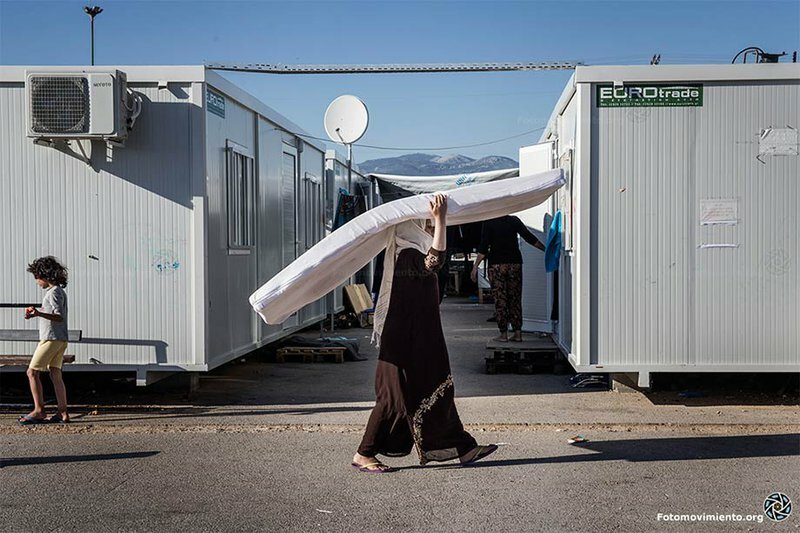 So women are often displaced that way and thrown into situations in which they must move. Simply providing visas is not enough: the human rights and social protections of those migrants must be ensured throughout their migration process. They are also often responsible for the migration of their families, taking care of their children, their children's welfare, and their family’s health issues. They may be pregnant, they may be giving birth in transit – it is a very complicated situation. They are not only subject to very difficult conditions in the countries from which they are leaving, but they may be giving birth as they are approaching a border that has no safe passage. They are thrown into detention centres, where they have very little medical care. We are not talking about a transit that takes place over a matter of days. It may take place over a period of months in which people are crossing from one country to another, with multiple border crossings. It is very difficult, and they are doing that with children and while managing the health and economy of their entire family. Cameron: Given these complications, I think many would assume that it’s less likely that women would move by choice. Would you say that that is in any way accurate or is it a false assumption? Catherine: Of course a lot of women migrants – and like all migrants regardless of gender – may not want to move if they have a choice. So when we are talking about forced migration, we are talking about the security and well being of their families as well as themselves. There of course they may not want to move yet may have to. But I think that this is not necessarily a case that is strictly defined by gender. I think many women, unfortunately, may not be completely aware of the kind of dangers that they might be subjected to in the course of moving, especially if they are moving without documents. They may have to enlist smugglers, not all of whom are what we consider criminal elements but some are. They may be forced into very dangerous situations where they may face extortion, exploitation, sexual abuse, and different forms of violence. So there are dangers and some women will certainly be aware of those dangers, whereas others may not be. But if they have no choice, it becomes a question of survival. They are willing to move for their own security and for that of their families. We have to appreciate that these are just the extreme sacrifices that a woman migrant may have to go through. Cameron: So what are key areas that policy could address? Is it a matter of new policy, or reforming existing policy, or enforcing current policy? Catherine: We are hopeful that, for example, the forthcoming global compact on migration will introduce a global guidance for countries to ensure safe, orderly, and regular migration that ensures human rights and labour rights. We hope that it will give countries a push – and certainly, as advocates, we would be doing the same to push countries – to avoid deterrent and restrictive immigration policies, to really open up visas, and to allow people to migrate. We want them to understand that people migrate for different reasons, but that everyone has basic core human rights. In addition to opening up safe passages, they need to ensure social protection and to ensure that migrants have access to work, to jobs, to medical care, to education for children, and to housing. These are just some the reasons why people move. So whether it is in transit – which can take many years – or in countries of destination, these issues have to be part of ensuring safe, regular, and orderly migration. Simply providing visas is not enough: the human rights and social protections of those migrants must be ensured throughout their migration process. Cameron: Is there anything else you'd like to say? Catherine: We, and certainly those of us from the Women in Migration Network, want to lift up the need to have a gender lens when we talk about migration. This is not just to say that we recognise that women and men migrate. But, as we’ve described here, to really understand that women face particular circumstances in the countries from which they are leaving. That they often face more difficult and dangerous situations in transit and when they cross borders that put them – along with their children – in more vulnerable situations. Again, our policies are not gender neutral. They must be much more sensitive to the fact that half of the people who are migrating are women, and when women migrate, children migrate as well. So while we want to look at issues of women migrating in their own right, we also have to recognise that families are also migrating. This means we have to look at the whole social unit as our responsibility in migration.